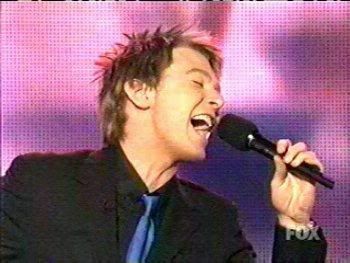 Clay Aiken – A Huge Hit! I hope you are having a wonderful week-end!! In 1967, the Gibb Brothers released their first album in England. Named Bee Gee’s 1st, the album had 14 tracks. One of the most popular tracks on the album was #10. It was called To Love Somebody and it became a huge hit for the group. 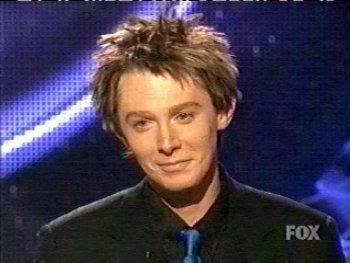 In May of 2003, Clay Aiken sang To Love Somebody as part of the Top 4 Show of season 2 of American Idol. All the American Idol judges, including Robin Gibb who was a guest judge for the evening, immediately praised Clay’s fantastic performance of the song. The live audience gave Clay a standing ovation for his performance. Clay, I think this is the third Pop Idol or American Idol I’ve done if you include the English one, and that’s probably one of the best performances I’ve ever heard throughout the competition. I would love to hear Clay sing this song again. I think it really fits his vocal range and it certainly brought out strong emotions in Clay’s performance. Were you watching Clay on American Idol when he sang this song? Is it one of your favorites too? There is not one of Clay's performances I did not like, but this song blew me away! The long note near the end was mind-blowing! Thanks for my Sunday morning of this special Clay Memory! Oh yes, I did watch Clay perform this song on AI2. All the judges (and the audience) agreed that Clay's rendition was perfection. Oh, YES, I was glued to the screen for EVERY Clay performance!!! Thanks for this beautiful song today, along with one of Simon's best comments!! 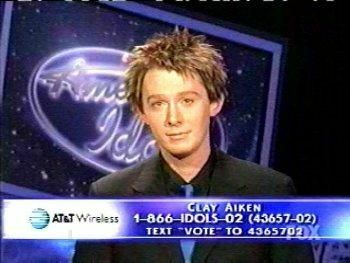 One of Clay's best performances of American Idol, I fell in love with this young man's voice on this show and I am still a BIG fan today!!! Error: Error validating access token: Session has expired on Tuesday, 21-Aug-18 16:13:01 PDT. The current time is Tuesday, 23-Apr-19 17:03:24 PDT.